REIMAGINE YOUR APPROACH. REDEFINE PERFORMANCE. A one-day summit of the brightest minds advancing the fields of Movement, Nutrition and Regeneration as fundamental contributors to high-performance living and training. This unparalleled meeting of expertise will present interdependent breakthroughs that are leading the health and fitness industry into the future. Attend in person, stream live, or watch on-demand through our online portal. Primarily featuring Equinox Health Advisory Board members, our speakers are among today’s most progressive thinkers. Combined with other leaders from the worlds of brain health and functional medicine, they will bring light to a broader scope of influences on health and human performance. With a compelling approach to exploring and connecting untapped areas of the health equation, HPLS digs deep to unearth provocative and opportune insights across a wide range of subjects including cognitive health, physical performance, sleep science and psychology. 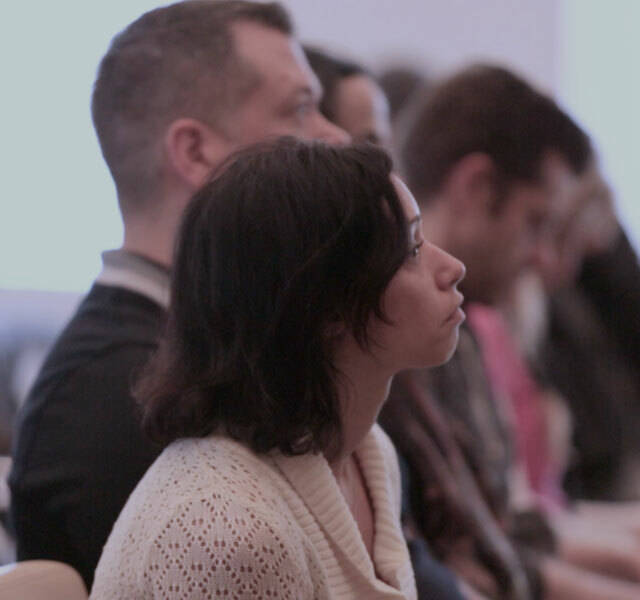 Energized by the event experience and empowered with a diverse-yet-synergistic approach to health and human performance, attendees will leave with innovative strategies that will evolve their personal and professional paths towards optimal health, performance and longevity. A healthy breakfast and lunch will be served. All sales are final. Registration is non-refundable and non-transferable. Live event attendees will choose from two presentations every forty-five minutes; seat availability will be first-come, first-served. Virtual attendees can choose from the feature presentations streaming live online. The day will culminate in an interdisciplinary panel discussion moderated by Furthermore, Equinox's online magazine. The panel will also be streamed for online attendees. Dr. James Pinckney II is leading healthcare’s next evolution with visionary approaches to treatment and training. 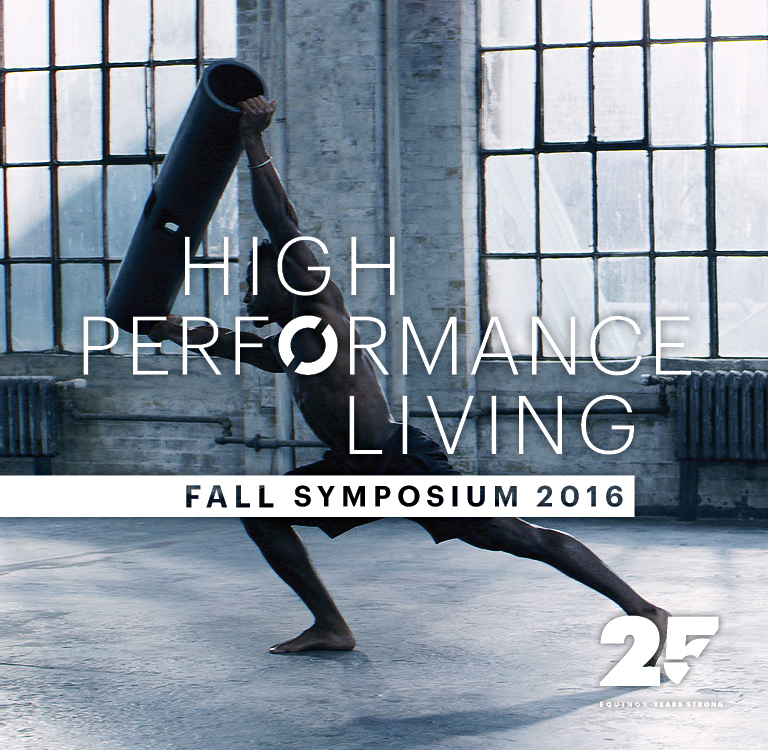 In our keynote lecture, he explores how the “high-performance” lifestyle can evolve in the near future by building partnerships between healthcare providers and fitness professionals to deliver revolutionary care. Clinical psychologists Dr. Bayles and Dr. Martin break down the essential communication skills that foster behavior change. Experiential role-play will be used to shift the coach/client relationship from prescriptive to collaborative, from coach-centered to client-centered, and from supplying motivation to eliciting it. Only in the past decade have scientists started to unravel the complex story behind how nutrition influences our biological clock and its effect on recovery. Bland will explore breakthroughs in the field and how they can be applied to a personalized nutrition program to optimize recovery and resistance to stress. The growing desire to “hack” our lives has driven the rise of shortcuts in physical development which may allow you to help your clients and gain competitive advantage. “Hacking movement” has followed the cultural mindset of results NOW, but is that always ideal? Gray Cook will explore traditional methods and physical development hacks that are available to us everyday, focusing on aiding the decision-making process to address a variety of challenges. In this hands-on session, Cook will lead specific tests and exercises for hacking power and strength. Lecture attendance is suggested for those wishing to attend the practical session. Fitness and health are often seen as synonymous—yet in truth they are often in conflict. Fitness refers to physical performance, whereas health refers to the harmony of the biological system. In this lecture, Dalcourt looks at variability in physical exercise to promote bodily resilience and versatility from the perspective of health outcomes. Living a high-performance life requires engineering many of its aspects. In this interactive workshop, Dalcourt will take a close look at the myriad factors which impact our ability to be healthy and vibrant so that we may enjoy balance and sustainability in all that we do. Sustainability affects not just what we buy, but how we live. As we age, cognitive function tends to decline, and yet certain individuals with “cognitive reserve” are resistant. New research suggests many factors affect the sustainability of brain health—how your brain ages may be influenced by how you care for it today. As we become increasingly invested in the quality and origin of our food, the role of GMOs continues to court controversy and debate. This presentation will discuss GMOs, GMO uses, and GMO safety from the perspectives from the scientific community. Are we training O Lifters, Bodybuilders, or Power Lifters? Is the goal simply six pack abs or maxing out a squat? Or, is iron the means to achieving something greater, like improved performance? Strength is more than exercise—it is a discipline. With mindful training, strength gives confidence and provides a foundation for lasting athleticism and increased vitality. Strength training leads to adaptation. This practical workshop will aid you in maximizing training time by developing a process to execute core movement prep more efficiently. Better prep means less time spent on corrective exercises, and more time spent zeroing in on client goals. While today's trainers are more knowledgeable than ever about corrective exercise, improving movement prep allows us to avoid adding strength onto dysfunction while keeping up the training intensity. Are we over-intellectualizing our health and fitness? How do we discern hype from hope in discovering our best selves? Are we seeing, or missing, the forest for the trees? Join Dr. Mager for a fun run through the human body, focusing on the essence of health, disease and human potential. We continue to face misunderstandings on regeneration. What’s more, ambiguity prevails around recovery modalities and their prescription. Understanding regeneration techniques, their purpose, and their application will improve the programming you use for those you train, treat, or serve. The goal of this session will be to educate and empower attendees with simple, practical, high-powered recovery methods to infuse with their respective programs. Regeneration methods such as breathing, recovery motion, comfort stretching, and active isolated stretching will be covered. The past decade has been rich in discoveries on the importance of sleep for optimal living. This presentation will highlight landmark studies that have furthered our understanding of how sleep works, why it is essential for health, and how poor or insufficient sleep impacts our lives. Research indicates that the lifetime risk of osteoporosis is about 50%. In this lecture, O’Keefe provides insight into long-term nutritional strategies for skeletal and cardiovascular health, including optimal sources of calcium. Research now shows that lifestyle choices powerfully affect brain health and disease by actually changing DNA expression. Dr. Perlmutter will explore the new science of epigenetics, revealing the keys that will allow participants to change their genetic expression and pave the way for better brain health.